Next year marks the 100th anniversary of the outbreak of the First World War, and many different ways will be found for marking this catastrophic event and the permanent impact it had on people’s understanding of place and sacrifice. Not least are the many First World War memorials which continue to provide a focus for civic life, identity and public memory across Britain. In addition, the eastern and southern coastline is marked by the remains of both First and Second World War defences against invasion, creating a ‘bulwark shore’ which continues to this day, with large tracts of coastal land still under military control. Over time such military ruins have insinuated themselves into the fabric of the landscape, and have become accepted familiars of place. The scale of the defences from a hundred years ago – in Essex alone – is captured by historian Norman Longmate in his book, Island Fortress, where he claims that: ‘North of the Thames, during the first winter of the war (1914), no fewer than 300,000 men were deployed. One defence line ran from north of Chelmsford to Maldon and Danbury Hill, another, the last main barrier guarding the capital, from Ongar to Epping.’ It is hard to imagine this militarisation of the landscape in what are today such quiet pastoral and estuarine settings. Ken will be talking about the large areas of land, including whole islands such as Foulness, still under military control at the forthcoming ‘Place: Occupation’ weekend at Snape Maltings on February 1st/2nd 2014. Decades of restricted access have meant that many of these coastal areas have become invaluable sites for bio-diversity and protected flora and fauna. 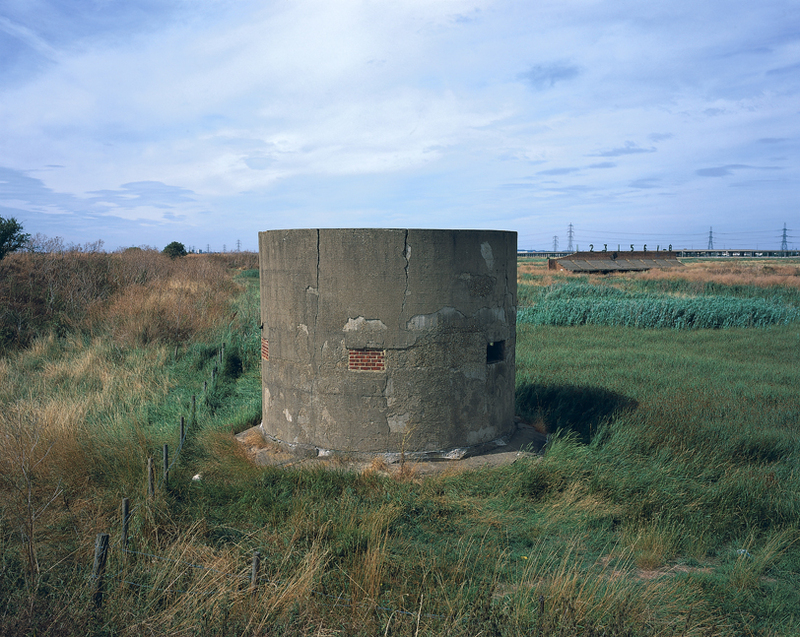 In the case of Rainham Marshes, bought by the RSPB in 2000, but previously in use for military training and ordnance storage since the end of the 18th century, this long-protected space is now a flourishing wildlife conservation area. By contrast, the very same landscape has also acted as a place where more quietist ‘back to the land’ movements have established themselves over the years, including two farming projects set up by the eminent pacifist and writer, John Middleton Murry, at Langham in Essex and later at Frating Hall Farm. These farms were peopled and worked on by Second World War conscientious objectors. We have interviewed some of those who worked the land with Murry, and these interviews will also be part of the material presented at Snape, along with a discussion of the Othona Community at Bradwell-on-Sea which was established in a spirit of reconciliation between British and German Christians immediately following the end of the Second World War, and which still operates as a spiritual retreat, and which Jason photographed for 350 Miles. 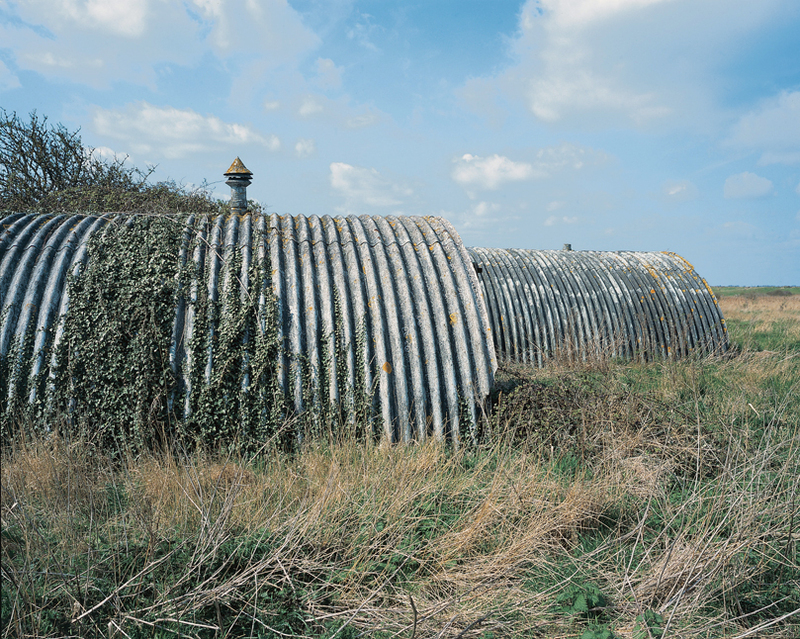 ‘Worpole’s connection to the eastern fringes is personal and spiritual, one in which the landscape bears physical testament to the ongoing cycle from creation to ruin to resurrection. He travels with a mind full of histories, literature and art to layer onto what he sees, and his writing is at its best when meandering into tangential lines of inquiry and quietly revealing this extraordinary knowledge (the book is worth buying for the bibliography alone). This will be our last post before Christmas, so until the New Year, many good wishes.